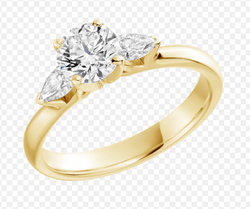 Exporter of a wide range of products which include diamond studded gold jewelry. Our company has achieved laurels in offering Refining Diamond Studded Jewelry to the clients. Refining Diamond Studded Jewelry assures high quality at smooth performance in harsh conditions which is made from high quality material. Offered range is widely acknowledged. Offered range is available in various shapes and specifications. This product can also be customized as per the requirements of valued customers and is widely appreciated by the customers. Offered range is checked on quality parameters by quality inspectors to provide flawless range. Looking for Gold Refining Unit ?